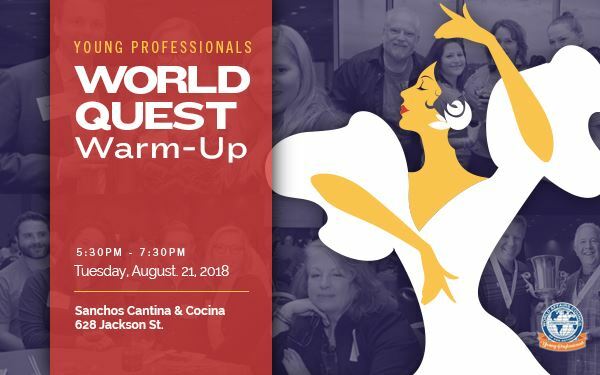 Are you curious about WorldQuest? Do you have a team who would like to get a taste of the competition? Are you looking for a fun evening of relaxed networking and trivia? 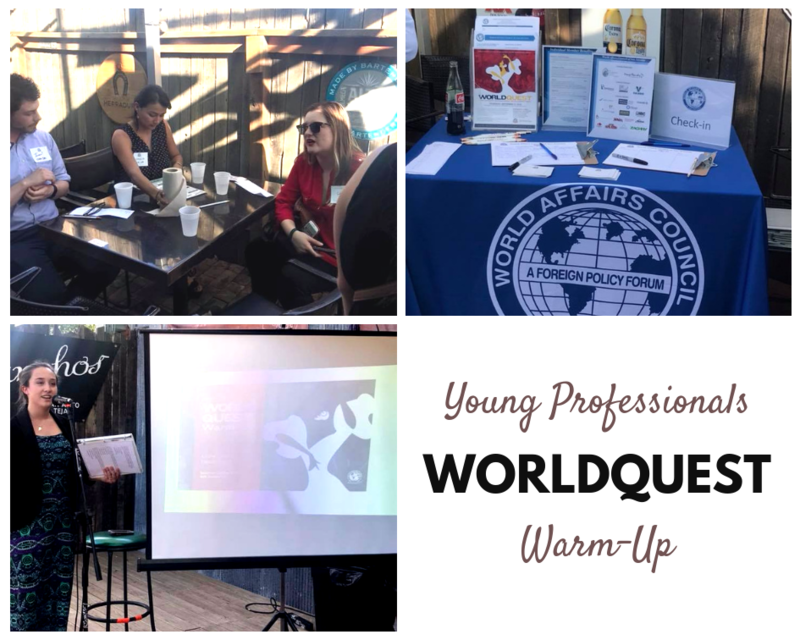 Grab an award-winning margarita and some snacks at Sancho’s Cantina and Cocina, and join the Young Professionals for this WorldQuest Warm-Up! "Agony Aunt" Trivia Answer: "D"